05 Jul Is Your Website Secured for Google? 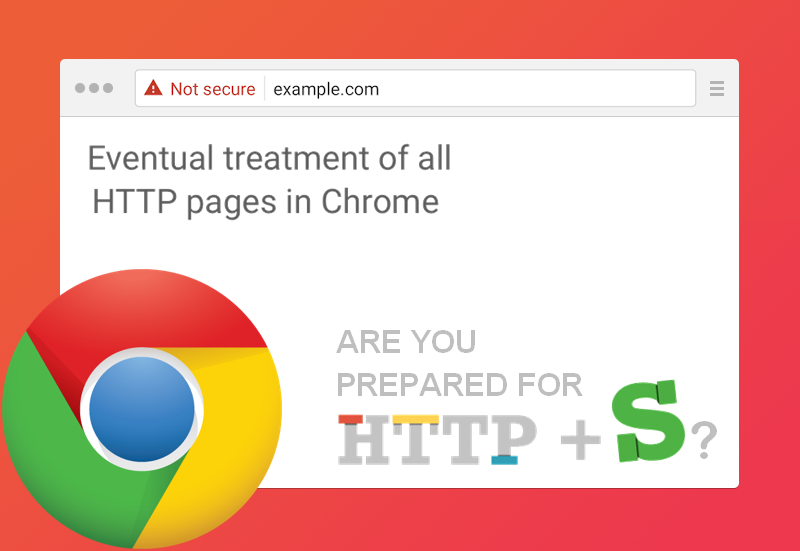 Starting this month, Google Chrome will mark all HTTP sites as “not secure”. Chrome currently displays a neutral information icon, but starting with version 68, the browser will warn users with an extra notification in the address bar. Chrome currently marks HTTPS-encrypted sites with a green lock icon and “Secure” sign. Well, the benefits of SSL are many as the data that is sent using HTTPS is secured via TLS – Transport Layer Security protocol which offers three-layer protections to the businesses online, that are – Encryption, Data integrity, and Authentication. From the SEO perspective https will give you a good ranking boost and more referrer data. So no more dragged traffic because of HTTP, the organic traffic will be rightly pulled to your website with secured features. Moreover, HTTPS verifies the website to be safe for the server and for the users. It encrypts all the communication on the website, including the URLs that are for protection such as bookmarks, browsing history and the credit card numbers and details. To summarize, it is advised to switch to https if you are into online business or use online transactions for your day to day life. Trust and security will give authority power to your online business as well help to gain rankings in search engines and boost in ROI. We encourage our clients to make their websites secure with an SSL Certificate!